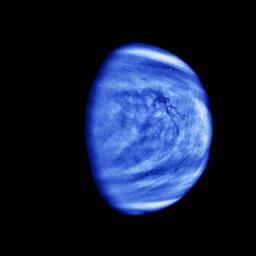 In this activity, middle school students view NASA images and movies of Venus, Earth, and Mars to deduce weather patterns and manipulate computer models to test competing hypotheses. Activity 1: Exploration - Analyze the weather and cloud patterns of Venus, Earth, and Mars and argue which planet has more chaotic weather patterns. 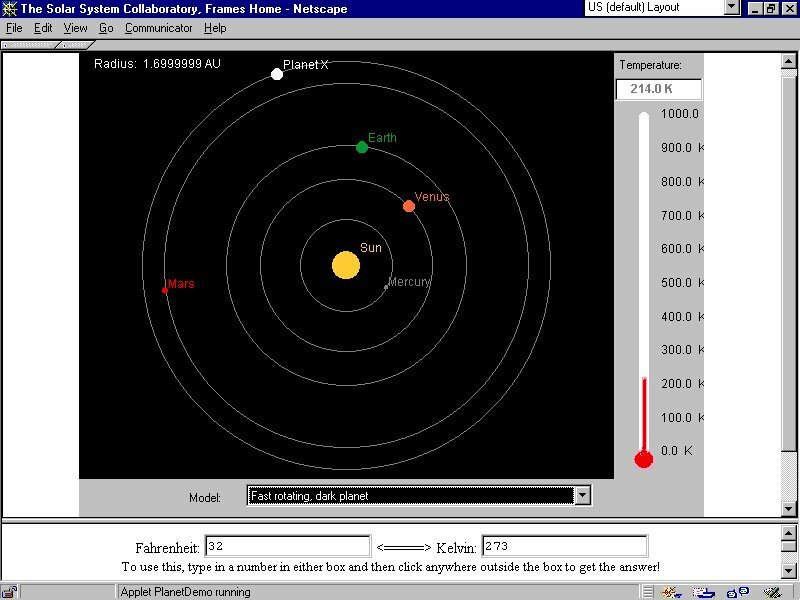 Activity 2: Collect temperature data using the computer models from the Solar System Collaboratory (URL). Activity 3: Change the relative distance, albedo (reflectivity), and Greenhouse Effectiveness to change Planet X's temperature range. Activity 4: Evaluate different hypotheses about the dynamic weather patterns of Venus, Earth and Mars and select the one which seems most correct. Activity 5: Answer specific questions relating to the planet computer models. Consider the weather and cloud patterns visible on Venus, Earth, and Mars. Which planet has more chaotic weather patterns? Propose several possible hypotheses. 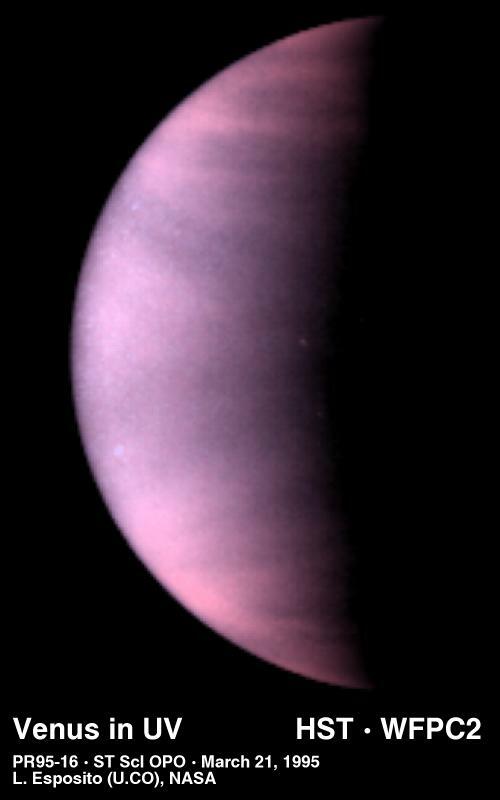 A class that conducted the assessment (in the section above) concluded that Venus has more dynamic weather patterns than Earth, which, in turn, has more dynamic weather patterns than Mars. Similarly, they noted that Venus has little variation in temperature, while Earth has a moderate variation in temperature, and Mars has a widely varying temperature. The class settled on three competing hypotheses. Your task is to use the computer model from the Solar System Collaboratory (URL) to evaluate which hypothesis seems to be the most correct or to propose your own. Pat's Hypothesis The farther away a planet is from the Sun, the colder it is. Chris's Hypothesis A planet far from the Sun can be hot if it has a high albedo. Aaron's Hypothesis A planet far from the Sun can be hot if it has a high greenhouse effect. INSTRUCTIONS ON HOW TO USE THE SOLAR SYSTEM COLLABORATORY COMPUTER MODELS. The model contains an imaginary planet, Planet X. Try moving it around (by clicking and dragging) to see what happens to the temperature gauge on the right side of the screen. Read the temperature gauge as accurately as you can and CONVERT the Kelvin temperature to Fahrenheit by entering a number in the KELVIN BOX and clicking in the FAHRENHEIT BOX. It is useful to remember that 300 K is about room temperature, 70 F.
change the planet's atmospheric composition, called the GREENHOUSE EFFECTIVENESS) in the range of 0 to 1000. To learn more about the Greenhouse Effectiveness, you might want to check out this on-line resource. To get a feel for the numbers, start by putting Planet X at the same distance as Earth is from the Sun and start changing the variables of albedo and greenhouse effectiveness to see what happens to the temperature. Can you make Earth have a temperature of 75 F? Consider each of the hypotheses proposed below and test each one using the Solar System Collaboratory Computer Model. Analyze the strengths and weaknesses of each proposal and decide which hypothesis is the best. Or better yet, propose your own hypothesis and provide data to support your proposal. How does varying the planet's distance from the Sun change the temperature? If you double the distance, does it halve the temperature? If you triple the distance, does the temperature drop to 3-2 (that is, one ninth) its original value? How good is the model? Can you replicate the listed temperature on Mercury, Venus, Earth, and Mars? How does changing the albedo change a planet's temperature? Why does this occur? How close do you need to move Mars in order for it to sustain life? How far away do you need to put Venus? Can you make these planets sustain life?